Hyundai became the world’s first automaker to begin assembly-line production of zero-emissions, hydrogen-powered vehicles for fleet use, when a white Hyundai ix35 Fuel Cell vehicle rolled off in Ulsan, Korea. The ix35 Fuel Cell vehicle, based on Hyundai’s popular ix35, C-segment SUV. 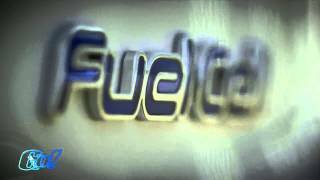 Built with proprietary technology, Hyundai ix35 Fuel Cell is powered by hydrogen. A fuel cell stack converts the hydrogen into electricity, which turns the vehicle’s motor. 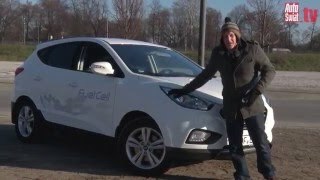 The only emission generated by the ix35 Fuel Cell is water. 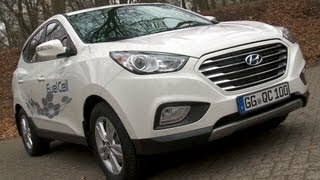 Hyundai ix35 Fuel Cell boasts drivability and performance similar to that of the petrol ix35.